The Kremlin fulfilled promise given to Medvedchuk. 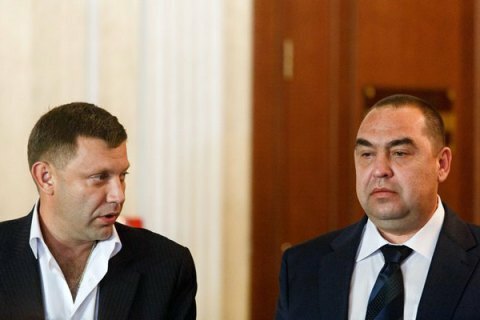 The ringleaders of Donbas militants, Oleksandr Zakharchenko and Ihor Plotnytskyy, have supported the proposal made by a representative of Ukraine in the humanitarian subgroup of the trilateral contact group on a Donbas settlement, Viktor Medvedchuk, on the exchange of prisoners. "They discussed [on the phone] the initiative of the leader of the [pro-Russian] public movement Ukrainian Choice-The Right of the People, Viktor Medvedchuk, on the exchange of prisoners between Ukraine and the [self-proclaimed] Donetsk and Luhansk people's republics [DPR and LPR]," the press office of Russian President Vladimir Putin said on Wednesday. Zakharchenko and Plotnytskyy supported the initiative but said the matter "has yet to be agreed with the representatives of the Ukrainian side." Earlier in the day, Medvedchuk told Putin during a meeting in the town of Istra outside Moscow that Ukraine is ready to release 306 people and expects the DPR and LPR to release 74 people in return before the New Year and Christmas holidays. Putin promised to use his influence on the militants.